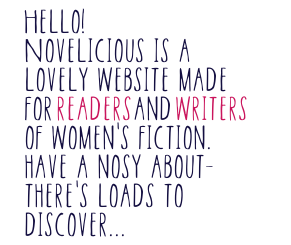 I was super-excited when Novelicious asked me to chat about my writing room because I’ve just had builders in for a month to turn our dark, cold, cramped loft into a tiny yet perfectly-formed creative space! I’ve written my last nine books at the dining table or on the sofa… or in bed (which may not be the most conducive to writing but is excellent for napping). I have tried writing in cafes but my curiosity always gets the better of me. I’m too nosy not to earwig on everyone’s conversation, and though it’s very entertaining, it doesn’t result in very much writing. I really need to be locked away from any and all distractions. So you can imagine how thrilled I was about the idea of having a dedicated writing space that I could get to in my pajamas. Away from the “could-be-doings” in the main part of the house, I could turn off the internet and write to my heart’s content. Unfortunately the loft structure didn’t make it easy. The sloping ceiling is only six feet high at the highest point so it’s only possible to stand up in the very centre of the room. Roof trusses had to be removed and the whole thing strengthened, or the new writing room would end up crashing through the ceiling into the living room. But the builders managed to strengthen and build the room, board the floor, add roof windows, insulation and plasterboard. And then I got to turn it into the perfect writing space. So I’m writing this while sitting at the gorgeous desk I made from a Victorian oak door we salvaged from our flat when we renovated it last year. The 1950s Bauhaus desk lamp that my husband found on eBay casts a beautiful light over the keyboard. My toes wriggle on the thick wool carpet that didn’t fit in the main house, and in front of the desk runs one of two room-length cabinets with room for dozens of family and friends’ photos – a gallery of all the love in our lives. The shelves are just waiting to be filled with the books that will let us happily pass the hours. Behind me is the sofa that I put together from a mattress, an Orla Kiely duvet cover and a 1950s steel bed frame (another amazing eBay find). Now I don’t have to leave the room to have a nap! Michele's new book, Match Me if You Can, is out now! Emma Hannigan started writing for catharsis while she was being treated for cancer. Since then she has had numerous bestselling novels with her latest, The Heart of Winter, out now. 1. ‘Be yourself, everyone else is already taken.’ Oscar Wilde was wise when he said this. Use your own voice, as that’s what makes you unique. 2. Work hard. Nobody else can write your book for you. Nothing substitutes hard work! 3. Read, read, read. It would be impossible to bake a great cake without knowing what it’s meant to taste like, right? So don’t try to write a book if you don’t read other people’s work. 4. Know what you’re talking about – there’s nothing more frustrating than reading a book and knowing the facts are wrong. When writing, we have to assume the reader is more intelligent than we are! 5. Enjoy the process. There is no point in writing if you don’t love it. Emotions come across in books and if the author is labouring over the story or plot, it shows. My writing space is like my head. Cluttered, disorganised, and overflowing with random stuff. The extra-large iMac is the central feature: an extravagant gift from my husband when he was sick of me whining/ranting/crying down the phone after my laptop had crashed again and lost all my work. I never back up. Why? Because I’m always too busy doing other stuff. Besides, I’m a writer don’t you know, and I wouldn’t want to hinder my creativity by doing something as mundane as saving the work my entire career is dependent upon. On my desk invariably there will be evidence of the day’s snacks and hot beverages. I’ve stopped drinking coffee because it was sending me a bit crazy so now I alternate between green and peppermint tea, usually every half hour or so. I have a short attention span. There’s always a hefty a pile of personal admin plaguing me from the periphery, such as party invitations for my children and various unpaid bills. Surely Thames Water and Amelie’s mother should understand I’m on a deadline? Despite my frenetic working style, and terrifying proximity to the South Circular, there is a sense of calm in my office. Rufus, my dog is always with me: on my chair, on my lap or sleeping on my feet. I love that little fellow and can’t imagine writing, or life for that matter, without him. During episodes of self-doubt or prolonged procrastination, I hoist Rufus onto my lap and look up at the photo of my daughters which is pinned to the noticed board. I don’t need rolling hills or Spanish sunsets. That view is enough to inspire me. Haley's book It's Got to Be Perfect is available here. 1. Set yourself a daily (or weekly) word count and stick to it. Don’t go back and re-read or edit, just write. Get the first draft out and then go back and look through it. Otherwise the inner critic will never let you finish. 2. Read. The best way to learn how to write well, is to read. However, be cautious – bad habits are easier to pick up than good. Don’t just read novels either, read books about how to write. Stephen King’s On Writing is one of the best and inspirational too. 3. Ask an experienced writer for feedback. The best thing I did was to ask a novelist to read through my first work and critique it as honestly and brutally as necessary. You can’t have an ego when you’re a writer or you’ll never grow. I was devastated by most of the feedback but I took it on the chin and learned from it. It was the best advice I’ve had. 4. Keep at it. So many people I’ve spoken to have written some part of a novel yet never finished it. Keep going, try not to lose momentum. You will get there. 5. Edit, edit and then edit some more. Be ruthless. If it doesn’t strengthen the story or move the plot along then cut it. Stephen King refers to it as ‘Killing your darlings’. For me, it’s the absolute final edit when the magic happens: the dialogue becomes sharper, the scenes richer. It’s the polish that will bring your story to life. “Don't you love New York in the fall? It makes me want to buy school supplies. I would send you a bouquet of newly sharpened pencils if I knew your name and address,” said Joe Fox in the 1998 rom-com You’ve Got Mail. While it’s not fall, a new year has a similarly uplifting effect on the writers among us. The first month on a freshly printed calendar or the blank opening page of a new diary fills us with so much hope and anticipation for the year ahead. The season of gift giving may have come and gone, but the new writing year is just beginning. Here are our top 10 items to treat yourself to this month. I’m working on my eighth novel (not including the two that are festering in my office drawer), yet with every book I write, I’m always surprised at how varied the editing process is. Whilst I use the same tools and processes, each book has had such contrasting editing needs that they all feel completely different. I’m working on the first big edit of my novel, based on notes from my editor (and after this it will go for line editing). My editor has given me a great steer and, fundamentally, the problem with my book was that there was a lack of tension between my characters. Cue changes of personality, characters that had taken a back seat making more of a starring role, and a few tweaks to the storylines to make it work better. I’ve now reached that magic ‘hallelujah’ moment where the book seems to have clicked and it it holds together – the only problem being that the ending still seems never-ending. Every time I go through the manuscript I create a ripple effect; changing one little thing means I have to keep going backwards and forwards tinkering away to make it all consistent. I’m three or four chapters away from finishing this round of fixes and I know that I’ve got to do at least one more round to tidy up some more loose ends that I’ve created. I feel like I’m ironing a bed sheet – every time I iron one bit, I’ve wrinkled a bit more, and I’ve got to go over it again. As a writer you’re pretty much always editing. I know I certainly seem to spend most of my time tinkering with the same prose over and over again. Getting to work on a fresh, virgin manuscript seems to be a rare occurrence, which is almost a special treat (until I hit a word hump). But when it seems like you’re almost eternally editing, how do keep yourself going? For me, editing goes in the same types of waves of confidence, like when I’m writing a first draft. Sometimes I feel like I’m merely reading the novel and I almost forget I’m supposed to be polishing. Whereas other times I seem to be able to hit the delete key with such abandon that it’s like I’m walking through an overgrown forest hacking away at the undergrowth. To keep me on the straight and narrow, I have to be in the right frame of mind which, for me, is all about being bold and brave, and having a plan. When I’m editing in mouse mode (fearful of cutting anything), I get quite attached to certain paragraphs and sections. These are bits which might be beautifully written or have particularly witty jokes that I really don’t want to get rid of. Yet, when I’m in man mode (think He-Man with sword) I might wince, but I ask myself whether the paragraph or section is adding anything? Does it fit with the characters and the story? Does it move the story along? And if the answer is no, then it has to go – perfectly crafted or not. I do always cut and paste cut words into another document, and tell myself I’ll use it somewhere else one day (but I never do). Almost without fail, I don’t miss the deleted section on the next read through. The Festival of Writing’s book doctors are the go-to resource for all the advice you need to write, sell and market your book successfully. We’re joined by one of those book doctors today, Allie Spencer, who has ten tips for writers working on their first novel. 1. Before you even think about booting up your word processor, get reading. Then read a bit more. And a bit more after that. In fact, don’t ever stop. Close, active reading gives you instant access to ideas and techniques used by world-famous authors: think of it as your own private ‘how to’ guide! 2. Be kind to yourself. Writing is a craft and absolutely everyone needs time to polish and hone their skills. You mustn’t expect to metamorphose into Kate Atkinson or Hilary Mantel the moment you put pen to paper (or finger to keyboard). Be proud of the fact that you are writing – it’s not everyone who has the gumption to sit down at a desk and get stuck in. 3. Learn from other writers. Attending workshops, classes and conferences – such as the Festival of Writing in York – are the best possible way to kick-start your writing journey. Download a wealth of writing experience from industry professionals and come away feeling ultra-inspired! 4. Get networked. Writing is a solitary business and it’s all too easy to feel isolated. Give yourself a boost and join a local writers’ group, a national organisation (such as the Romantic Novelists’ Association) or an online community like the fantastic Writers’ Workshop ‘Word Cloud’ where you can celebrate, commiserate, swap feedback and enjoy the companionship of like-minded souls. 5. Remember: there is no right way to write a book. Some of us plot and plan for months, some of us write by the seat of our pants. There are as many ways of working as there are brilliant one-liners in a Marian Keyes novel. Feel free to try them all. 6. Write what you love and love what you write. If you don’t yet know what you love, come along to the Festival of Writing and try out a few genre-based workshops – you might surprise yourself! 7. Don’t feel you have to go along with the latest trend or, worse, gaze into your crystal ball and try and predict the Next Big Thing. You never know – your quirky, original idea could be just what the world is waiting for! I’ve always worked best under pressure – be it school or university essays, exhibitions with fixed opening dates at my old job, or now when there's manuscript delivery date looming. Yet, I’m currently working to a ticking time bomb of a deadline, aka the birth of baby number two, and it sure is a motivator to get typing. I’ve just sent a manuscript off to my editor – the deadline was the beginning of August – and it’s due to be released in March. There’s no relaxing with this one. It’s going to come back with notes from my editor to be worked on, then it will come back to me again after a line edit, after a copy edit and after it has been page set. I’m slightly nervous about fitting those edits around my changing family circumstances, but I’m confident that I managed the first time round with Baby Bell and I’ll do it again – even if when I look back on that time my life was an absolute blur. The thing I’m most worried about is the following book. It may not be due to be delivered until next June, but I’m conscious that my writing time will be ever more squeezed come October, so the more I can do before the new arrival, the better. In this vein, I’ve set myself a challenge: to write a first draft of the new book before the baby comes. Now, I realise this may be slightly unrealistic as one thing is certain: the manuscript that is currently with my editor is due back at any minute. How much work I’m going to have to do on that edit is going to depend on what they thought and how many pages of notes they give me. Then there’s the other uncertain thing, aka the baby. I’m 32 weeks pregnant, which means I’ve got about eight weeks until he or she makes their appearance but, realistically, from next month they could come at any point. Bringing all the expertise of the country's finest writing tutors, book doctors and publishing professionals together to guide you to a stronger manuscript, greater industry savvy and hopefully an agent and future book deal, we’ve got one ticket to the Festival of Writing 2015 to give away (worth £175). The Festival of Writing takes place in York on Sunday 6th September and features loads of "how to" courses and workshops taught by top class writers experienced in teaching – like our very own bestselling writing agony aunt Julie Cohen – with publishing professionals and agents by the cartload to talk to you about the book industry from their perspective. Your ticket will also entitle you to two prebooked “one-to-ones” where you can pitch your work direct to an agent or editor of your choice – what’s not to like? To enter, simply leave a comment telling us what genre you write in. A winner will be randomly selected and contacted via the email address used to enter following the closing date on Friday 7 August.